I have no idea why the change of one second when one year ticks over to the next is such a significant event - but it is. I guess it is somethingw ithin us that sees signifcance in new starts and new opportunities. Today has been about preparing for the new. Our house is AMAZING today. From there it wet to 'let's move the bed out (a massive endeavor as our bed is in sections with electrics and everything) and clean under it. Which led to let's spring clean the entire bedroom and bathroom which led to let's take down the decorations (so we could have a Fiki free relaxed evening with no tree up) which led to let's springclean the whole house and bin a load of stuff we never use. The result is we are shattered but the house looks fab, we have de-cluttered and cleaned and we are all ready for a new year. I am starting 2017 as a sloth after today! 2016 has been an amazing year for us. We always knew it would be. I always post - for my benefit - a review of our year on 31st December and this year I have already finished my review book so can use that as my focus. Feel free to skip down tot he end - I am sure it will be boring as heck for anyone but us and for family who read the blog. We feel very blessed this year. 2015 was a hard year for us both health wise and 2016 has been a year of thankfulness. We really have been thankful as we know what ill health means - we count ourselves blessed every day and started 2016 with great optimism. It was a year about togetherness and so the inside cover reflects that. Nigel said - and it was very poignant - he gave me to TH 29 years ago and he was coming to get me back ... and he did. It was this time last year that we really firmed up the plans we had had for about 18 months that I really was going to hand in my notice and take early retirement. I finally handed in my notice on 19th January. Hideous photo of me but it was a hasty snap on that morning to record the day. (and it is straight it is just that it is on hinges as the photo lifts up for journalling. January also saw Nigel really start and make headway with setting up the Darcy Ward Foundation - a major achievement this year and one I am so proud of him for. One notice had been given we both felt a weight had been lifted off our shoulders. What was done was done - no going back - just going forward. February was cold with brisk walks and lots of sunshine. Actually it has been a year of sunshine. March saw majour garage sorting ready for me to bring things home - and my last ever conference. I have been blessed to travel to many places and many nice hotels in my career and heard some truly remarkable speakers over the years. It is an aspect I will miss. I won't miss the black tie dinners though - not my style really. March saw the start of the year of the nose too. My nose is looking much better now but Oh My was it awful. I had a possible cancerous lump removed and it all got infected and was dreadful. It turned out to be benign - thankfully - and I am now almost at the point where I am glad I had it done. Almost. Our visit to Ypres and the Menin Gate was especially poignant as it was 100 anniversary of the Somme where my grandfather fought and we were there the day Brussels was attacked by terrorists too. April saw ur 30th anniversary - we had celebrated early as I was at school for the day itself - it saw glorious bluebells and also our new beautiful hybrid car Ruby. We are both as in love with her today as we were in April when we got her. She is fab, saves us a fortune and is so gorgeous to drive. April also saw me give a speech at my last school birthday and sit for my portrait - so not my style at all. It was also the first of many craft fairs this year which have become more and more successful as I have found what works and what doesn't. We re-did the study so I have proper 12 x 12 storage and it looks awesome and I also went on my last residential trip ever. It was also the best residential trip I had ever been on - how fitting. June was a month of farewells and was very special, from the tea, the recognition of the bishop, the special transition service, the final concert and tea and prize-giving. It was all very emotional but I was so happy I had made the decision - it was so right, I had no doubts and have not looked back. I miss the girls at times, but I am very happy with the career I had and the life I now have. July was the first time I really relaxed. I realise now I never relaxed even int he summer holidays as I was always so driven to get everything done in 8 weeks holiday that I never just 'stopped' and chilled. This year I did. We had so many lovely days with friends and family and also went on a wet but enjoyable trip to Wales. August was more of the same. Nigel had by now established the Foundation and had achieved so much. It had been a steep learning curve and a job he was doing 24/7 and so it was time for him, now it was all established, to take a step back and hand it over to someone else. He'd set up something to be really proud of. He also fulfilled a dream and drove a trolley bus. He was thrilled. We hunted Zebra in August, I damaged both my arm and my ankle (stupid accidents that were quite spectacular in their 'colour' and I suffered a complete and total comuter failure. Everything gone - thank God I back up regularly. Septemeber - well September we were awa ont he best holiday we have ever had. It was a little of everything. Awesome road trip, amazing weather, cities, and forests, mountains and lakes, coast and vineyards and - of course - Disney and Angels. There are also several insets in this pocket page. October saw us settle into our new life. Nigel's brothers visited, we enjoyed Autumn colours and sunsets and partied. We have indeed had a blessed year and one which we count ourselves very lucky. I hope 2016 has been a wonderful year for all of you. It is true there are always bad things that happen too and sadness along the way but I genuinely believe it is important to look for the good, for the things to be thankful for, to build on positivity etc. Last year I selected a word at random and it was Future. This year has been one where we have reclaimed our future, however long that may be. We have so much to be thankful for and I hope that you have too. Today has been all about finishing things and clearing the decks. Nigel went to work to finish the jobs we started yesterday - he visited a load more Tescos and they now all have wonderful magazine displays. He says he missed his helper! I finished off my 2016 album documenting what has been a very significant year for us and I will post that at a later date. It's a big old album - bigger than anticipated. I also bound my JYC this year - yeas the book that is focused on Elf on the Shelf. I am really pleased I did this different take on my JYC this year. Having done so many it is hard to find a different perspective each year and I did enjoy the routine of documenting our December. It has been fun to complete and this December was so much better than the last two - so quite a celebration. Although plagued by a cough that won't go, we have been well, we have been stress free and we have been happy. We have had great fun in December and are now ready to face a whole new year with all that it affords in just a few days time. I forgot to scan pages before I bound the album - and of course there are two days to finish, but this is the latest update. 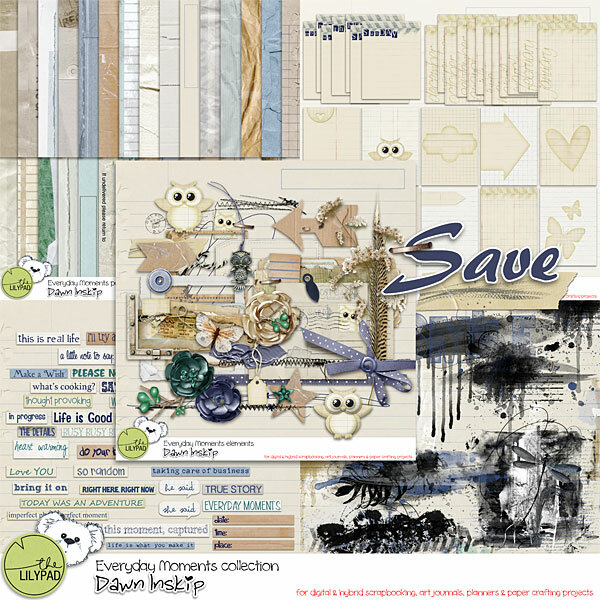 Dawn has two collections on special offer today at The Lily Pad. It's been a glorious day - cold and frosty but unbroken sunshine. Nigel had a job to do with magazines and so we headed off to Blandford, Dorchester and Portland. The jobs were only ten minutes or so and so we enjoyed a fabulous day out and sat and had a picnic on the top of Portland. Not a bad view for lunch eh! a lifestyle with no pressure that enables us to work together. I am now quite adept at building cardboard magazine stands! Two albums almost complete - I hope to finish them tomorrow. They will represent a huge amount of work this month. We have enjoyed 5 days of almost no internet ... not because it was broken but because we opted to be free of it over Christmas. I hope that you all had a wonderful Christmas and that whitewater you did it was lovely and all you hoped for. Our Christmas Day was simple - and a little challenging. After church we collected Nigel's Mom who really didn't know what day it was but we think she had a nice time. She ate a massive massive dinner and seemed to enjoy it and we were able to give her gifts and enjoy the fact she was with us - in body if not in mind. We celebrated our own Christmas Day together on Boxing Day - just the two of us and our fur kids, a PJ days, lots of wonderful gifts (we do spoil each other with lots of small gifts and we have both been very lucky) and we snacked endlessly on a buffet. Yesterday and today we have been out enjoying the sunshine, though it is much colder. It has been a wonderful peaceful few days we have both relished. We do know he is meant to go back to the North Pole on 25th December but he agreed to stay with us this year and see us through until the end of the month ... he wants to make the most of it as he knows he may not ever be let out of his box again! 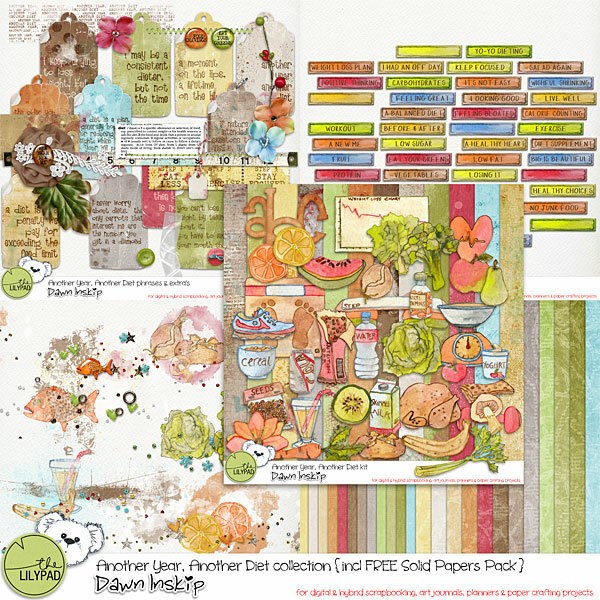 Dawn has a new release available today - just in time for thinking about how to get rid of that Christmas excess. and this is what I made - my lovely Christmas Cake. We bake it together and then take it in turns each year decorating it. It was my year this year! the generosity of friends ... One of the many gifts from Mike was an amazing jigsaw we finished today. 1000 pieces of the National Parks of America - just beautiful ... picture is me holding it up - the mark of a well made jigsaw. Firstly Christmas Blessings for all the people who come and visit and share this little corner of the cyber world with me. I hope that you and your loved ones have a wonderful few days and that the peace and joy of this special season fill your hearts. Secondly just a christmassy catch up of the latest pages of my Christmas Journal ... up to date as I can't do today until it is over. We went to visit a Christmas tree festival today - it is in its 14th year and we have never been before but will go again if it continues to run. It was at St Aldhelm's church and there were so many trees. They were made by church groups, local schools and care homes, nurseries and individual families and it was just beautiful. There was even a remembrance tree set up by a local funeral directors. There was coffee shop set up at the back, children running around and a real buzz. I couldn't help but think how pleased the Lord would be that so many people were enjoying the moving trees in His house. Yes churches are for worship but they are also a part of the community and this most certainly was. It was very uplifting but then we were brought right back down to earth. I bumped into a lovely lady who I used to work with who retired a year before I did. I was shocked to hear her husband dies suddenly in July this year. She had been talking to him and only left the room briefly and he had a heart attack. I felt so sorry for her - such a tragedy. My heart broke for her and I know this Christmas especially will be so hard for her. I am glad she is surrounded by such a large loving family. We all need to make the most of every single moment as we never know when they will be the last we share. I pray Nigel and I have years together. Orinoco is making us smile. Today he discovered Goldfish crackers - obviously misunderstanding. Nigel's work is all done now - over for the holidays - no more - he is finished. Every year when I broke up from school - well for the last 7 years when he was not working and I was - he would greet me on my last day with sherry and mince pies and Christmas music and lights. It was so nice to be able to do the same for him today. Even the cats joined in the Christmas spirit. More about it in the New Year. I suppose I don't need to worry about working for money. Orinoco is apparently very W-elfie!! and the page I am sharing today - another made for Karen at Charmed Cards and Crafts - is very in keeping. Now I have to say I totally don't hold with dressing cats up - totally not - largely as my cats are not very cooperative although Kira was happy with it today - but heck - it's Christmas and it would seem churlish not to. Fiki who is far more football hooligan than Santa Cat! Isn't it funny how you can dread something and it is not as bad as you fear when you actually do it! I knew I had to get the last minute shopping from Tesco and was putting it off. I am afraid I don't subscribe tot he siege mentality shopping - It's just a posh roast and it is just one day. However, I decided today was the day and - well I think lots of people must have been put off by the fear because it was fab. I haven't seen Tesco that quiet for quite a long time. Nigel was working today and so I cracked on with our year book and I am up to July - which is really good as March and June were huge months (I am dreading September - I have so many photos I would like to use but I know I have to be kind of sensible! I have new scrapping to share today - another page made for Karen at Charmed Cards and Crafts using the Bo Bunny Tis the Season. For me the sign that Christmas is on the way is when I first hear Holiday are Coming ont he TV and see that big coke truck. Holidays are coming is even my ring tone this time of year - so scrapping our visit tot he Coca Cola lorry was a key holiday memory. We had a lovely evening yesterday out for our Christmas meal with the neighbours. Really nice - we do have a lovely community of houses here. Consequently it was a bit of a slower start this morning and we maybe didn't get as much done as we figured we might. Ah well - the benefit of being retired. Orinoco appears to have difficulty understanding some things and managed to get his Elves and Elvis mixed up today. What a difference an 'i' can make eh! I did roar with laughter when I saw him this morning. We did manage to finish our Christmas cake today too. Nigel did the marzipan and the icing and it was my turn to decorate this year. I am quite pleased with how it turned out with the splash of red. We also took Christmas gifts for people like the dentist and made our annual visit tot he cemetery. I find i very strange - I don't go all year - they are not there - but I do always feel the need to lay a Christmas wreath and clean the headstone. I have to say it wears incredibly well and never looks like it needs cleaning. Thank you for the photos Claire - quite a long time ago now! the smell of dinner cooking downstairs. Today has been a chill out day and I have sat printing pictures for my album of the year. Not in the sense it is THE album of the year as int he best album but rather an album of the year! It's going to be a big book this year as it has been a big year in every sense and I am struggling to limit the pictures and the memories. Ah well - that's what I have paper for eh! Elfie was flying high today - when I came downstairs he was straddling my cleaning brush flying through the kitchen. I have also caught up on a few more pages - I was up to date until today! I was doing some sorting out and found this Christmas Chipboard deer so I embossed him and he was too pretty not to use. This page and the opposite page (they are kind of double page spread ) has a photo that lifts up for journalling.